back to a healthy, active and vibrant life! "Life is out there for you to enjoy - don't let your body stop you making the most of it!" 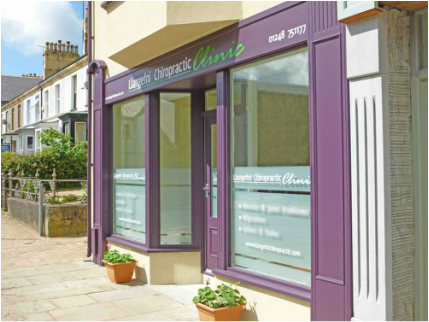 Here at the Llangefni Chiropractic Clinic, we provide professional, friendly and affordable care for the people of Anglesey, Gwynedd and North Wales. Elisabeth, our chiropractor with nearly 20 years' experience, is trained in the diagnosis, treatment and management of mechanical disorders affecting the spine and joints. Taking a thorough overview of your health, Elisabeth is also trained to give professional advice on exercise, rehabilitation, nutrition, and other important lifestyle changes. Working together, we can help you beat your pain and restore your function! Click here to see our chiropractors! Check out the 'ChiroBlog' for advice and recent updates.